Highland Hospital’s nationally recognized bariatric surgery program is led by highly experienced, widely acclaimed and internationally recognized surgeons. Dr. Joseph Johnson and Dr. William O’Malley are all faculty members at the University of Rochester Medical Center and widely respected in the specialization of bariatric surgery. They have performed close to 6,000 weight loss surgeries at Highland— the hospital with the most bariatric surgeries in the area. Our surgeons work closely with each other and all involved in your care at the Highland Hospital Bariatric Surgery Center to ensure that our patients are informed, comfortable and ready for the weight-loss journey ahead. 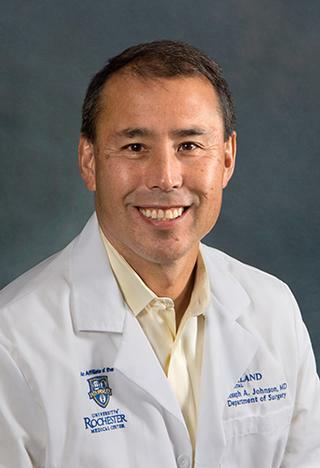 Dr. Johnson, who also serves as Chief of the Department of Surgery at Highland Hospital, is an award winning physician and a former president of the Rochester Surgical Society. He received his medical degree from New York Medical College and did his residency and internships in general surgery at the University of Rochester Medical Center. Dr. Johnson is known for his expertise in minimally invasive surgery and has been in practice for more than 20 years. Dr. O’Malley is the Director of the Bariatric Surgery program at Highland Hospital. He has been a bariatric surgeon since 1997 and has performed more than 4,000 bariatric surgical procedures in his career. He introduced laparoscopic bariatric surgery to the region in 2000. 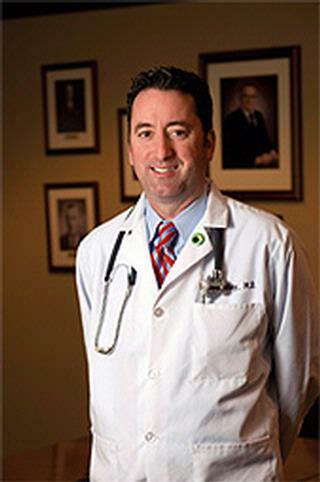 Dr. O’Malley has traveled within the region and internationally to teach and demonstrate advanced laparoscopic techniques in bariatric surgery. He has mentored and trained numerous surgeons to perform the surgery. A familiar face on television, he was featured on the Oprah Winfrey show and is known as a contributing expert for Good Housekeeping and Redbook Magazines.